Culturally Responsive Teaching: Brown University shares the seven principles for culturally responsive teaching - including the what, why, and how! Iowa State Education Association ISEA reaches out to build community support for Iowa schools and their teachers and is designed to promote and support quality education. National Education Association: Since 2817, NEA has crusaded for the rights of educators and children. Teacher Evaluation: The Iowa Department of Education provides information on teacher evaluation. Teacher Leadership: School Administrators of Iowa provides TLC resources shared at professional learning opportunities. Teaching for Rigor - A Call for a Critical Instructional Shift: Robert Marzano and Michael Toft share why essential shifts in instruction are necessary for teachers and students to succeed with college and career readiness standards. This is an excelent website that empowers and connects teachers, administrators, and parents with innovative solutions and resources to better education. Smithsonian Education Smithsonian Education offers a wide variety of free resources for teachers, students, and parents. Teach Hub Teach Hub provides k-12 news, lessons and share resources created by teachers and shared with teachers. Kindergarten and Grade 2 ELL teacher, Janna Bjork, of Perry Community Schools, shares these examples of project-based learning she is doing with her students since her training with Dr. Nell Duke in September, 2014. "Our Project - Our Purpose - Our Audience" - examples of anchor charts in kindergarten and Grade 2, based on Inside Information by Dr. Nell Duke - see page 64. 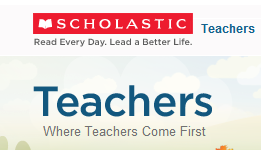 Pre-Kindergarten Teachers - Access a page with web sites just for you and your students. Kindergarten Teachers - Access a page with web sites just for you and your students. Grade 1 Teachers - Access a page with web sites just for you and your students. Grade 2 Teachers - Access a page with web sites just for you and your students. Grade 3 Teachers - Access a page with web sites just for you and your students. Grade 4 Teachers - Access a page with web sites just for you and your students. Grade 5 Teachers - Access a page with web sites just for you and your students. The Association for Middle Level Education (AMLE) is the leading international organization advancing the education of all students ages 10 to 15, helping them succeed as learners and make positive contributions to their communities and to the world. AMLE is committed to helping middle grades educators reach every student, grow professionally, and create great schools. Cybrary Man's education sites for middle school. Iowa Core Standards: Check out the standards for Iowa Core in the middle school. Middle Web - This site is all about the middle grades with a sharp focus on teaching and learning in grades 4-8. High School - See content/subject specific area for specific resources for your teaching area. Cybrary Man's educational sites for high school. Iowa Core Standards: Check out the standards for Iowa Core in the high school. This page was updated May 27, 2017. Please contact Lou Howell at LouHowell@mediacombb.net with additional URLs.